Oddly enough, many people believe that Dobermans are dangerous, aggressive dogs. However, only those who are not personally familiar with this amazing breed think so. After all, despite the strict, imposing appearance, the Dobermans are friendly, completely non-conflicting dogs that are strongly attached to the owner and family members, get along well with small pets and are kind to children. Dobermans are strong dogs with developed muscles and at the same time very elegant and graceful. 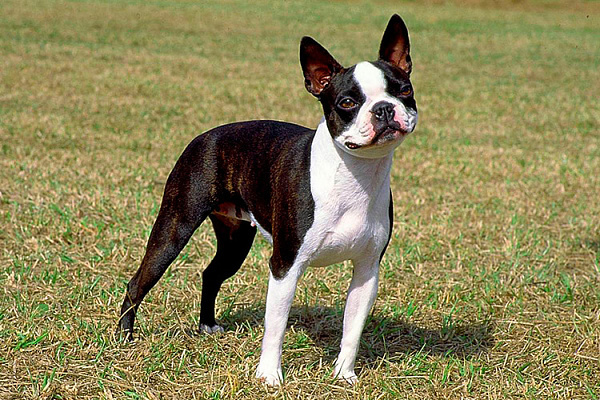 The maximum height at the withers of these dogs is 72 cm, and the weight is 45 kg. Dobermans are characterized by ideal anatomical proportions. They have a strong, strong, toned body and a beautiful silhouette. The body format is rather square than elongated, the back is short and strong, the loin is muscular, slightly arched, withers developed, the chest is oval in shape, moderately wide, the limbs are muscular and strong. 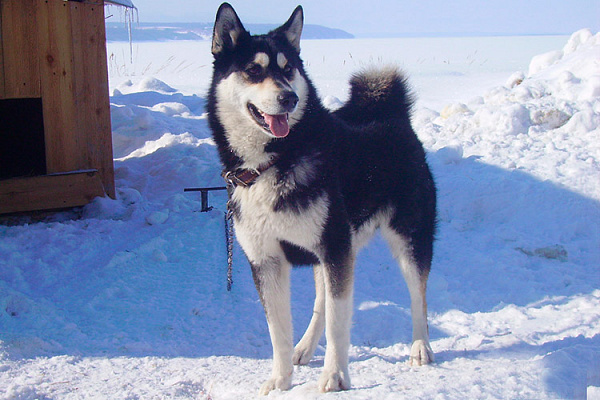 The neck is set high and muscular, the head is wedge-shaped, the transition from the forehead to the muzzle is noticeable, but not large, the muzzle is wide, the lips are tight, the jaws are wide and strong, the teeth are white and strong, the scissors bite. The eyes are non-convex, of medium size, color: dark. Nose is large, black (with black color) or brown (with brown color). Ears set high, erect, usually cropped and stand upright. In some countries, Dobermans do not stop their ears, then the ears are in a hanging state, and the front edge of the ear is adjacent to the cheek. The tail is set high; traditionally, two caudal vertebra are retained when arrested. In some countries, again, the tails of the dogs do not stop. Dobermans have a shiny, tough and dense coat, no undercoat. The color is black or dark brown with rusty red burns. Dobermans never ignore or offend the weaker, as many other dogs do. When playing with children, they behave very carefully so that they do not accidentally knock the baby down. Others, both humans and other domestic animals, are treated with respect by Dobermans. However, these qualities of the Doberman do not in any way speak about his timidity and adaptability, on the contrary, the Doberman is very confident and does not want to demonstrate his superiority to anyone. Selfishness, harm and stubbornness are not peculiar to him, he is collected and always strives to be useful. 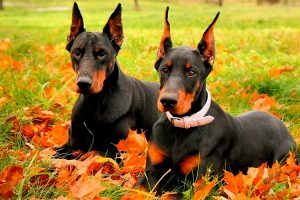 The Dobermans are intelligent and person-oriented, as if they understand the owner at a glance, quickly assimilate the information and execute commands with interest. As a rule, Dobermans have a moderate temperament. Their behavior is calm and friendly, but in case of danger they react with lightning speed. Talents of fighters and defenders are laid in Dobermans at the genetic level, and with appropriate training these dogs can be ideal bodyguards and watchmen. In general, the breed is characterized by good health, but the hereditary tendency of Dobermans to allergic reactions, cardiomyopathy, narcolepsy, torsion of the stomach and hypothyroidism can be noted. With the right content, the life span of the Dobermans is 16 years. Dobermans are unpretentious and do not need complicated care. They have unexpressed molt, and it is enough to comb out the wool only once a week. It is advisable to bathe the dog infrequently, it is better to remove dirt with a wet towel. Dobermans feel great when kept in an apartment, and in a private house. 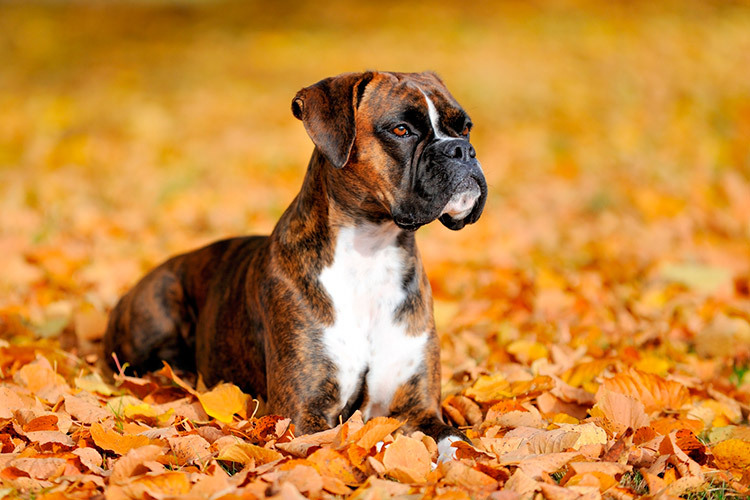 However, this breed is absolutely not suitable for keeping in the yard on the chain. The Dobermans were bred in Germany in the 19th century by Frederick Louis Dobermann, after whom the breed was named. It is believed that the breed was created by rottweilers, short-haired shepherds, smooth-haired German pinschers, black and tan terriers, and dog dogs, hounds, and greyhounds with high probability. The origin of the Dobermans is still full of mysteries, since Friedrich Dobermann did not keep any records about his work, and subsequent breeders could only build theories. It is interesting that Dobermann worked as a policeman, and devoted all his free time to dogs. He interestingly studied various breeds and contained a shelter for stray dogs. Dobermann sought to find the perfect, loyal guard, but eventually he came to the conclusion that almost any breed needs to be adjusted. He decided to independently bring a new breed of dogs, which will have excellent protective qualities, and carried out complex breeding work. Despite the fact that Dobermann was not a professional breeder, the result of his work was successful and stunning. Someone explains the breakthrough luck, and someone – purposefulness. Of course, the first Dobermans were not an exact copy of the modern representatives of the breed, they lacked grace and lightness, and the temperament of the dogs was less friendly. 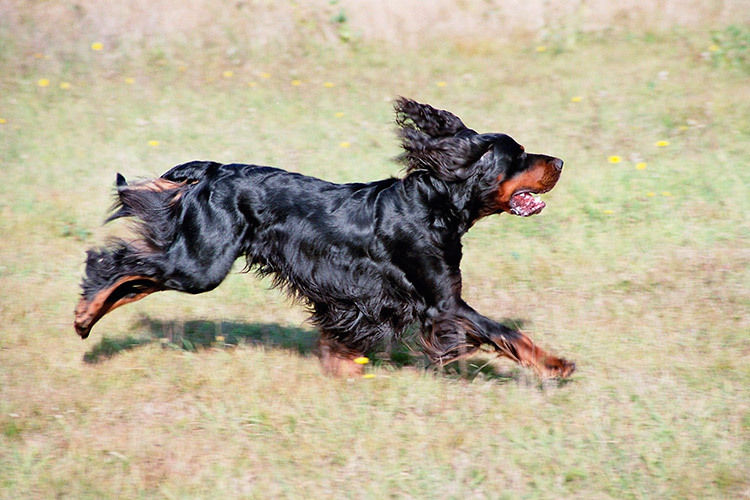 Subsequently, the breed was adjusted, after the death of Dobermann, his works were continued by Otto Geller, and today they are elegant, intelligent and balanced.